Pillow Filling Types: Which Material is Best for Me? Before you jump into buying the next pillow you find in the store, you might want to do a little research about the pillow stuffing materials available in the market. The good news is that you don’t need to look any further. Everything you need to know before buying yourself a pillow is a scroll away. Since all of us have different sleeping positions, it is important that the pillow we select contours according to our specific body position, so that you enjoy a restorative sleep. Overwhelmed with the varieties of pillows available in the market? While everyone keeps stressing over buying a quality mattress, pillows play an equally crucial role in ensuring a restorative and sound sleep. The following description will assist you in making your next pillow purchase. Memory foam pillows are the most commonly found pillows that you will come across. So what are they made of? Memory foam pillows are made up of polyurethane and a combination of other elements that increase its density and viscosity, giving it the name visco-elastic pillows. Memory foams absorb heat and adjusts according to your body in a few minutes. 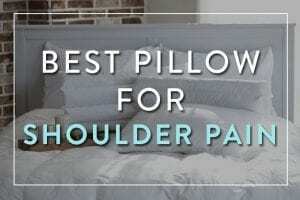 The pillow is perfect to relieve pressure off shoulders and neck, and to keep your muscles from getting sore. You will not find a lot variety when it comes to pillow height in memory foams and it tends to get hot pretty quickly. However, the good news is that these pillows are relatively higher and fluffier, which prevents snoring by allowing you to breathe easily. Moreover, memory foam pillows are good at retaining their shape and fluff, without having to adjust them manually. 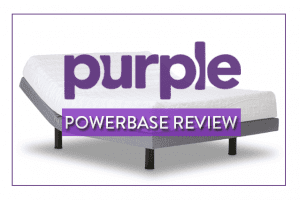 Check out our top rated memory foam pillows. Polyester pillows are also another common find in the pillow market. Polyester stuffing is easily available and is an inexpensive replacement for all the other types. 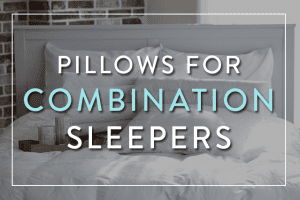 Although it is a good option when you’re not looking for a high end option, these pillows tend to lose their fluff easily oover a short span of time. A wide variety is also available in polyester pillows, for you to choose from. These pillows are also easy to clean and wash, which makes their maintenance easier, compared to others. Before you go overboard with the pros, it is important to note that these pillows form lumps over time and the quality is nothing compared to down and other high end pillows. Moreover, these pillows may also be attacked by dust mites over a period of 2-3 years, which makes them much less durable. Latex foam is derived from the sap of rubber trees, however, there are synthetically manufactured alternatives in the market which you need to beware of. Latex foam pillows are long lasting and durable pillows that offer ample fluff and bounce to last a decade or so. These pillows are extremely soft to feel compared to memory foams, which feel firm at first, and are also last longer than memory foams. Another factor which sets it apart from other pillow fillings is its hypoallergenic material, which keeps you free of allergies without compromising on comfort. Moreover, latex foam pillows also sleep cooler than other pillow types. Check out our best picks for latex foam pillows. However, one thing you need to look out for in latex foam pillows is the odour of the material which can be bothersome. Lastly, latex foam may not be the right option for you, if you are looking for a pillow to treat sore muscles and relieve pressure off your neck and shoulders. Feather and down pillows are derived from the same origin(i.e. ducks and geese) but different parts of them. Those of you who are into hoteling would know the luxury that comes with feather and down pillows. These pillows not only provide unmatchable fluff, loft and molding, but also adjust perfectly to your head and shoulders. While down is taken from beneath the protective feather layering, feathers are taken from the top layering, which might be felt by the sleeper, once feathers break within the pillow and the edges poke him/her. 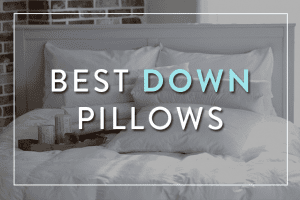 Check out our reviews of top rated down pillows. 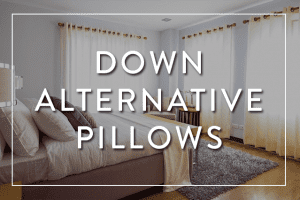 Down pillows are softer and airy to feel which make them the ideal material for pillows. However, one drawback to down and feather pillows is that they’re not hypoallergenic and harbor a variety of dust allergies, especially if you’re sensitive to them. Many users choose synthetic materials over down and feather pillows, to avoid allergies, but end up compromising on the luxury. Another factor that needs to be looked out for is the pillow maintenance. Down and feather pillows are more prone to being ruined while washing and cleaning than any other pillow. Since these aren’t hypoallergenic, you need to clean them often. Using traditional ways to wash ordinary pillows doesn’t work on these pillows. However, this issue can easily be resolved through following proper washing and drying tutorials for these pillows. Side Sleepers make up for 70% of all sleepers which is considered to be the healthiest sleeping position by experts too. Since the gap between the shoulders and the mattress needs to be covered, side sleepers need a thicker mattress. Memory foams are high density foams which provide your neck with sufficient loft and support through the night and keep your posture straight. Did you know that back sleepers are most prone to snoring during the night? This gives you one big fat reason to purchase the right pillow for your snoring partner and doing yourself a favor. A variety of sizes, types and shapes of pillows are available for back sleepers. Medically speaking, back sleepers need pillows that support the spine in its natural curvature, which means the pillow height should not exceed a certain limit. A thinner pillow is great for those of you who like to sleep looking at the stars. 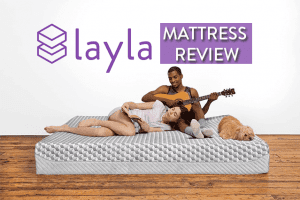 Choose between latex and memory foam pillows that are not too fluffy. Stomach sleepers barely need a pillow to sleep on. Experts do not recommend sleeping on your stomach at all, since it puts a lot of strain on your back. In order to gradually shift to sleeping on your side, getting a pillow with a lot of fluff and loft will help. Polyester pillows are best when it comes to this.